﻿ Do You Believe in Past Lives? 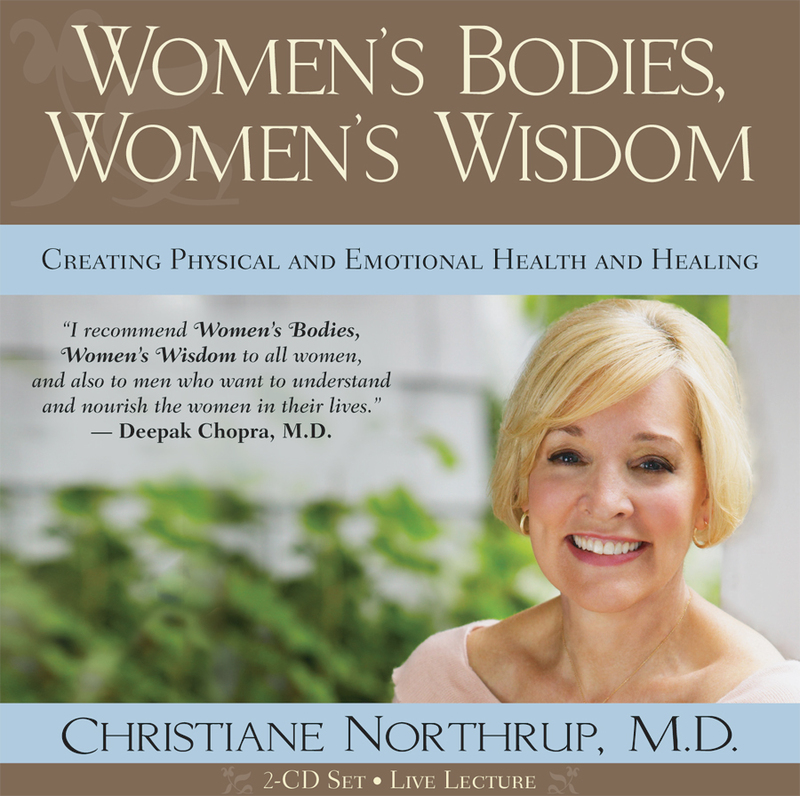 | Christiane Northrup, M.D. Research shows that past traumas — including traumas from past lives — such as sexual abuse, growing up with divorced parents, or living with an alcoholic can be an underlying cause of chronic illness. Further, research shows that healing past traumas can help you heal from illness. But, what if your past traumas happened many lifetimes ago? Yes, I am talking about reincarnation! When I was a teenager, I read everything I could find on Edgar Cayce, who today we would call a medical intuitive. He was able to put himself into a trance and diagnose a person’s medical condition knowing only their name and address. His information came from several thousand “life readings” – or information on people’s past lives! Columbia and Yale-trained psychiatrist, Brian Weiss, M.D. told one of the most remarkable stories of reincarnation in his book Many Lives, Many Masters where he documented his patient, Catherine’s (not her real name) experience remembering her past lives. 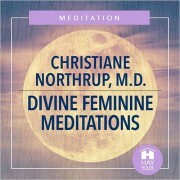 While under hypnosis, Catherine relived traumas and events from her past lives, and also channeled messages from “the Masters” while in a resting state between lives. A skeptic at first, Dr. Weiss could not deny what he was witnessing. The truth is, you were not born a blank slate. We all carry memories from our past lives into this life that are stored in our unconscious. These memories carry an energetic charge that continues to affect us. Once you accept that this is not your first rodeo, your life improves on all levels. In fact, understanding your past lives can help you heal many of the issues you face in your current lifetime, including challenges associated with your social status, your family, the deaths of loved ones, and even your health. Discovering your past lives is a fascinating way to understand who you are as an immortal soul living in a human body. It enables you to heal the present through the past, and can bring you great inner peace. So how can you tap into your own past lives? Some people have spontaneous flashbacks during the waking state. This may be triggered by an event, such as visiting a place where you have lived in a past life. When people visit a city for the first time and know their way around without a map, or visit a foreign country and find that they can speak the language fluently even though they never studied, it is often indicative of a past life in that place. Past life memories may also appear in dreams, during meditation, or even when you are getting a massage. This is because your brain is in an Alpha state – also called a hypnotic or relaxed state — allowing you to reach into your subconscious. As humans we actually enter a hypnotic trance approximately 10 times per day when our brain wave frequency drops to between 7 to 14 cycles per second. (Rapid Eye Movement, or REM starts at 10 cycles per second. This is when dreams occur.) The Theta state, between 4-7 cycles per second, is considered to be the psychic range. One of the most powerful ways to reach a relaxed (or even psychic) state and tap into your past lives is with regression therapy. Past life regression therapy is a form of hypnotherapy that is used for accessing and re-experiencing your past lives directly. It has grown over the last 50 years to be an important addition to the healing arts. When you undergo past life regression therapy, a skilled therapist will use relaxation techniques, such as hypnosis or guided visualization, to allow your higher self to bring out your past life experiences that are of the most benefit to you now. Unlocking events from your past lives allows you to uncover patterns and events that may be effecting your life. If you can’t find a therapist in your area, you can do this on your own using audio products, such as Regression Through the Mirrors of Time by Brian Weiss, M.D. Past life regression is the process of healing the soul by healing the past. Regression therapy is not to be confused with a past life reading, which is a passive process. You will be in a light trance or relaxed state. It is best to work with a trusted practitioner to guide you or to use an audio recording by a trusted source, such as Brian Weiss, M.D. The experience may feel like a very vivid movie. And, since you are the central character in your story, you may be able to see, sense and feel things just as as if you were there. You will have all of your senses. Unlike in your dreams, you are able to hear noises such as explosions, music, or people calling you by your name. You may smell smoke, food and whatever else is in your environment. You may feel pain if you are injured or sick in that lifetime. And, you may feel the emotions you felt at the time the events in your past occurred – you may cry, laugh, or feel frightened. You may see an entire lifetime or many lifetimes during your regression. Or, you may see only flashes and images. You may experience your death. You may also experience the deaths of people close to you. The re-enactment of your death moment is where the real healing happens. The emotions and sensations you feel during a past life regression therapy session are real. The charges from these events set up the patterns that are occurring in your present life. Those patterns can affect your relationships, behaviors, motivations, your physical body and your health. Positive patterns can feed talents, bestow wisdom, influence tastes, and energize your life’s purpose. Negative patterns can lead to destructive behavior, poor judgment, and block your path. By making your past life memories conscious, you can release the patterns that no longer serve you and reinforce the positive ones. Understand personal relationships that may be difficult. The people you are closest to in this life are those you have been with before. Family members are often our biggest challenges. While learning of past life traumas involving family members and others does not mean you won’t experience pain and heartbreak in this lifetime, it can bring meaning and comfort to whatever you are going through. It may also improve your relationships. Uncover talents and abilities from the past. Perhaps you were a concert pianist in a past life and in this lifetime you have a natural ability to play the piano, but have never learned to read music. Taking piano lessons may allow you tap into this “hidden talent” and offer some pleasure as a hobby or even a new career in this lifetime. Let go of fear and anxiety. Fear is a low vibration that keeps us from experiencing heaven on earth. Many time fears can seem unfounded, and this can be due to a past life trauma. If the fear is buried in the past, then it is the most quickly healed by going back to the past. Often confronting the fear or phobia is enough just to send it away and free your soul so that you can do what you came here to do in this lifetime. Discover events that are the root of physical problems. Past life problems can be remarkably resistant to present day treatment modalities and medicines. This is usually because the root of the illness is not being treated. Past life regression therapy can often produce healing – and very rapidly! Align with your soul’s purpose in this lifetime. Many people do not remember their soul purpose. If you want to discover your unique soul mission and learn how to fulfill it in all aspects of your life, past life regression can help by helping to remove any karmic difficulties and allowing you to uncover your true gifts. Release physical toxins. While undergoing past life regression therapy, some people experience temporary physical symptoms such as runny nose, coughing or choking, excessive sweating, shaking, rapid breathing, urgently passing gas, vomiting, and more. This is your body’s way of releasing stored toxins. This release provides the opening for past life healing. This release can happen over time or be a one-time event. Experience the transitional states of death and beyond. Some people are able to connect with spirit guides in this state. Others simply experience a deep rest that rejuvenates them physically and on a soul level. Whatever you experience, you no longer need to fear death when you realize that your soul is immortal. Experiencing events from your past that are buried in your subconscious can help alleviate patterns that may be keeping you from living your soul’s purpose. The thorny issues you face in this current lifetime—including challenges associated with your social status, your family, the deaths of loved ones, and your health – have actually been chosen for you by your Soul to help you move forward toward enlightenment. If you have irrational fears, an unexplained or chronic illness, or persistent feelings of anger or guilt, these may be due to past life influences. Similarly, if you seem to repeat the same relationship problems over and over again, or have a strong aversion to a certain person, place or thing, or if you experience déjà vu (“coincidences”) often, these things may be rooted in a past life. Past life regression therapy can make your life easier by helping you understand, deal with, and ultimately heal from these circumstances that may be blocking your path. Please tell me about your experiences with past lives and past life regression therapy in the comments section. In a past life regression, I saw myself buried alive, leaving my children behind. This freed me from my present day fear of the dark, confined spaces, and the fear that I would die before my son was grown up. Miraculous!! I have been doing self hypnosis for a while now and nothing came to me until last night. During my regression I found myself in a building pleading with a woman for my life. I kept saying I did not do it. I was to face a firing squad. It was late at night. Somehwere I heard something (can’t remember now what it was) and I asked the lady what it was and she said it was to let people know that Adolph Hitler had arrived. The execution was to take place three hours from that moment and I recall 11pm being brought up. The lady wanted to help me escape which she did. (I remember telling her that I did not care if I were caught after escaping but I did not want to face the firing squad. She got me to a dock somewhere and I bordered a small boat. On that boat were three people. A lady, and two men. One man had brown curly hair and the other was dark haired with a moustache. The lady who I can’t remember asked somebody to give the order to drive, to which a males voice replied ‘permission to drive’. The boat took off at high speed but I can’t remember anymore after that moment. Don’t really know if this past life regression or not but it was quite interesting considering I had had nothing until last night. I know there were more things but it is very sketchy. In May 2016 I participated in a prayer circle where we called in goddess energy and asked a prayer. I asked to know my true calling and purpose. During my journey, I saw visions of very delicate pink flowers and crystals and I was led to feel the luxury of this very soft, enveloping energy. At some point I asked myself incredulously “Is that it? Am I only supposed to make, do and be part of beautiful things? Surely this cannot be my purpose!” I was looking for a call to action, a battle cry! I noticed my disdain for the color pink and frivolous femininity. I was guided to realize that I needed to work on my disdain for the color pink and receiving. In the coming months, I set out to understand and look at my relationship to the divine feminine and receiving. I began to notice that I had been raised with a subtle disdain for the divine feminine & receiving. But I could not understand why. Having grown up separate from extended family who lived outside the US, I did not have a deep knowledge of my family story. Also, two of my grandparents died before I was born. I did not have much data to look to to try to understand from where this all came. I began to look into ancestral healing and attended an ancestral constellation workshop. In June at a women’s gathering in the Mendocino Forest, I had a hypnosis session. My purpose in the session was to better understand this ancestral disdain for the feminine. The healer led me into a hypnosis and when I got to the part where I was supposed to call in my ancestors, my throat began to close up and I felt myself being choked. I was shocked. I had never experienced anything scary like this before. The therapist asked if this was a present day issue or past life. I felt it was past life. As I gasped for air and intuitively used my hands to move the dark energy away from my throat, I realized that I was being choked for speaking the truth. I came to realize that my now sister-in-law was trying to choke me to death for speaking the truth about her. I was startled and stunned. Having been “hijacked” from the usual program that I was supposed to be led down, the healer tried a different approach, instead asking me to envision myself in a movie theater. She guided me to see a campfire on the movie screen and asked me who was sitting around the campfire. I saw no one around the campfire. Until suddenly, I saw the light of the fire against the glossy sheen of a raven’s back, a raven who was trying to hide itself. The energy was dark and scary and reminded me of the scene in the Wizard of Oz when the munchkins scatter at the appearance of the wicked witch. I realized that no one was there at the campfire because she was there. I became aware that this raven was my great aunt- who cast out my grandfather from his family. I felt that at least my grandmother should have been there, but somehow realized that none of them were powerful enough to take on her energy, only me. I then saw that this raven, my great-aunt, was also my current day sister-in-law, who dies her hair in a glossy black, who worked for many years to paint me in a bad light in her parents’ eyes and who worked very hard to have my husband and I cast out of her family. I came to realize, that she and I have been doing this dance for a long time. I became aware that I have always played the light and she has always played the dark. By spending many months on this I was able to realize that by not being able to hold her light in the face of her dark, that I had played a role in this re-occuring cycle. By seeing these visions, I was able to release her, at least energetically and to forgive her, for this dance. In subsequent healings with different people, they have also identified the role of my-sister-in law in past lives. One energy healer had found that she was in love with my husband in a past life (her now brother) and lulled him away from me and put a hex on us hundreds of years ago and our relationship. One healer saw the choking but clarified that she did not actually kill me in that lifetime. All of this was a complete surprise to me, but it served to clarify a lot and to help me down a path of healing and clearing. It has given me the opportunity to look at shadow, and my prior inability to accept the shadow side. Since then, I have had additional past-life glimpses with other people. During an acupuncture session where I was focusing on feminine energy, I became overwhelmed with the feeling of sisterly love, which I have never felt in this lifetime as I do not have a sister. A distinct and clear feeling of this love came to me in direct relationship to one of my current friends, who I now call sister. During a yoga session I remembered a life as an indian girl who died young and I recognized my friend as my mother. It seems as I get older, I have more and more of these glimpses. Understanding these relationships and these roles seem to help to understand and clear unconscious orientations. I find it all very useful and intriguing. Thank you for your work and keep telling these great stories. It helps us to heal and see ourselves in your words. Dear Dr. Northrop, I do past-life regressions as well as regular hypnosis, energy healing in about eight different modalities. I have had subjects revisit lives in Atlantis, lives on other planets, tell me about the Annunaki, the Elemental, the Aloos and explain why we get illnesses. I have read Dr. Brian Weiss, “Many Lives, Many Masters,” Dr. Michael Newton, “Destiny of Souls” and “Journey of Souls,” Delores Cannon, “Conversations With Nostrodamas”, “The Convoluted Universe,” and a number of others. Recently, however, I have been doing some pioneering work on viruses causing autoimmune conditions and many of them affect pregnant women and newborns. If this is an area of interest to you please send me an email. This work has never been done before. Peace Pilgrim (www.peacepilgrim.org) or Peace Pilgrim, An American Sage on youtube told people to never get past life regression because we come to solve problems without knowing the answers before hand to get the most benefit from learning to solve our spiritual problems. She warned that if we find the answers to problems given us to grow spiritualy from past life regression, we won’t have solved the probem(s) but rather have recieved information that will solve the problem. There is a huge difference between getting the answers and ridding ourselves of problems and actually confronting the challanges/problems and learning and growing from them and thereby getting the information needed after the fact. Something about not knowing and working through problems is very very important for us. If we get the answers befor hand, then we won’t have actually solved the problem(s) on our own and thus what we came to solve in this life time, won’t have been acomplised, we will need to come back again and learn to solve the problems/challenages on our own. Peace Piligrim walked across the US from 1953 to 1980 teaching people about inner peace. One of the most amazing women of our times and that I am proud to call my mentor. I tried an online past life regression and fell asleep. Remember nothing. Tried a group session today and saw/felt nothing. Seriously nothing. Not even black, white or colors. Was told by one psychic that I was a monk in a past life and more recently that I was the mother to a man I know and he was my son. He and I seem very alike in many ways despite an age difference. I don’t get from talking to him that he feels like I do. I was hoping for some sort of confirmation on this. Why am I getting nothing? The leader thought that I had blockages. I am a very spiritual person. I have vivid dreams, can do astral projection, guided imagery, etc. Also can be hypnotized quite easily. My first past life regression came up nearly nothing and I was told by the regressionist that I possibly had entities attached to my soul. I didn’t really understand or believe what this meant until I had the next regression a couple of years later. I had two very dominant soul attachments which attached themselves at certain times of my present life. Until those attachments were “cleared” by the regressionist, I wasn’t able to see life time after life time, literally one after the other. It was an emotional rollercoaster. So the blockages you may have could well be entities attached to your soul. I liked that you had mentioned that it could be important to heal things that had happened in a past help live a more enjoyable life. My wife has been depressed for awhile and I believe that it might be something that had happened to her in a past life and that her soul needs to be healed. I’ll have to start looking around for a professional that can help with past life healing knowing that it could help her live life to the fullest. What if the past lives are not past live sbut memories passed down through generations, from forebears? I have in the past come across people that I immediately have some deep connection with in past lives. However, when I bring this up with them, they do not feel the same! My question is how do I manage this. The feeling of connection is so profound that how can they not feel it too!!! I guess I want to carry on from where we left off in the past lives but that cannot be in this life?? Any help? I understand you are wanting to continue the connection with someone when you sense that this is a past life connection. This has happened to me bumping into several past connections. I feel that perhaps they have completed the connection with us even though we don’t feel the same. Also perhaps they don’t believe in past life connections and cannot relate to our desire to reconnect with them. PLR or LBL practitioners in Northern Arizona? If anyone has a referral for this in Northern Arizona please let me know. Preference for training methods by Brian Weiss, Michael Newton, or Dolores Cannon. Just want to say that reincarnation is something that you find more to support than negate it when you begin to research it. When my son was little and could first string words together he said he remembered being with God and choosing me to be his Mom. Later when I was faced with an unexpected pregnancy in an abusive relationship that I was forced to end against my will, my three year old son said to me that same day “its okay Momma, you’re not supposed to be with him” as if it was affirmation I made the right choice. The experience has always haunted me but I’ve had amazing and endless synchronicities related to my son (including pre-birth communication with him) and going through that nightmare so many years ago. Why would it make any sense at all, that out of the billions of souls on the planet at the present time, one would keep getting reincarnated with the same few souls over and over again? I’ve read the books of people who believe this. It’s positively the most ridiculous concept. It gets traction because of love — people want to see their loved ones again. (Usually, that is, unless you are unlucky enough to have been brought up with severe abuse, in which case one lifetime is enough!) Humans need answers and they have always made them up. We also refuse to admit that even when we are 85 years old, we still long for eternal parenting…thus, God. The reason people “heal” when they go through past life regression is exactly the same reason they heal when they do a myriad of other types of therapies and healing treatments — the answers or something in the therapy resonates for them. The therapy is a TOOL, it is not the answer. There are no answers we will ever know or understand and to think otherwise is naive. However, if you do believe in this or something else, you will likely be happier as living in the “I don’t know” space is the hardest, most uncomfortable thing of all and few people have the courage for it. Good for you Leslie. I agree. “There are no answers we will ever know or understand and to think otherwise is naive” How do you know that? Maybe we will. I get the feeling you are the brave one living in the “I don’t know space”, so you probably cannot know that we will never know either. I am a Christian and the Bible does not teach this. Everyone can “believe” what they want, however if you believe God is the creator, you can not believe in reincarnation. Actually, reincarnation was taught in the early Christian church. There are a couple of reasons why I believe in past lives: my elder daughter and a co-worker of mine. I had a co-worker who was right-handed but could write with her left hand too. One day she showed me. Her writing with her left hand was absolutely beautiful. It looked like it was from the early 1900s. My elder daughter learned how to read at an extremely young age. I would read a page to her, and she would read the next page. It was as if she already had seen the words before. From a very early age, she drew and painted like a professional artist. Not only that, but her artwork looked (and still does look) very French even though she had never seen French artwork before when she was young. She also always seemed like an old spirit to me. I always felt like she was my elder sister in a previous life. Still, I’m not certain about past lives. I’ve been told that I was a nun in some of my previous lives and a monk in one of them. But how could I have been? There are so many more people today than there were 50 years ago. How can we all have past lives? Did we have to wait many years before being reincarnated? Where we other species in our previous lives. I am 73 and have over the years encountered several people whom I know I have shared previous lives with. There is an unmistakable “recognition” (it must be energetic because I doubt that these people appear as they did in former incarnations.) And there is a familiarity and ease that is beyond the norm. Several years ago, at church, I met a young man in his early 30s and instantly had that same “recognition”. Most recently, due to life circumstances, he needed a place to stay. My husband (whom I had been married to in a former incarnation) and I took him in and he felt like one of the family. He told people I was his “adopted Mom”. (We have 3 other grown sons close to his age.) During the time he was with us I was certain that this was not the first time that I had been his “Mom”. I, also, experienced periodic episodes of great, unexplained sadness and I suspect that I lost him in a tragic way during that previous life. Also, I believe that his name was Stephen. Countless times I almost called him by that name. He recently moved into his own apartment, and the day that he left I told him, “I love you and I think I have loved you from the beginning of time.” It was one of those things that just comes from your heart and out of your mouth without planning it. It was a difficult day, watching him leave. I never told him any of this for fear of frightening him. When I can afford it, I plan on getting a past life regression to see if my intuitions are accurate and to fill in some of the missing information. This is incredible Carolyn! Thank you for sharing. I hope you get to find out more about this relationship. I got into past life therapy quite unexpectedly. When my first child was born 20 years ago, both my husband and I quickly developed irrational and unexplainable fears related to being parents. My husband developed a fear of flying so intense that he had to stop flying completely for a couple of years (challenging as he was a public speaker who traveled around the country). A few weeks after the birth of our daughter, he called me from out of state in tears, unable to get on his return flight home. I asked him what felt so scary and he said, “I’m just terrified that I won’t be able to watch our daughter grow up.” He ended up renting a car and driving 9 hours rather than getting on the plane! My fears were focused on our daughter (and my husband and I) being killed. When I would walk down the street with my infant, I would imagine an oncoming car flying out of control onto the sidewalk and running us over. This progressed over a period of months and culminated one night in a hotel when our door rattled due to someone else closing their door in the indoor hallway. I was lying down with my baby, nursing her to sleep. As the door rattled, my body instantly went ice cold and I had a flash of a vivid images of Middle Eastern soldiers storming into our room and killing us all with bayonets! This came completely out of the blue. I’ve never been a fearful person, and couldn’t imagine what was happening to me. Fortunately, my midwife insisted I go talk to an excellent therapist she knew who did past life work along with other energy psychology therapies. We quickly identified a past life in which my current husband and I had children, one of which was our current daughter. We lived in the Middle East, and one night a neighboring tribe invaded our small village and killed us all. Our daughter was killed first, then me, then my husband. We were all helpless to protect our baby and each other. Once this story came to light and I was able to grieve and energetically balance my body again, the fears completely vanished. One session and these fears and images were gone! It was remarkable. This led to more past life work that ultimately cleared a lifetime (haha, or more accurately many lifetimes!) of food intolerances. This was a side benefit I hadn’t even considered! It’s powerful work! Incredible and so intense. Thank you for sharing! I’m dealing with unexplainable fear and pannic attacks sometimes. Your experience encourages me to try it as well to maybe find out where this is coming from. Hi Lisa – this makes complete sense! When I first got into past life and deep healing work, I not only had reservations, but my one and only anxiety attack (in anticipation of doing the work, not doing the work itself!). As your past life story shows, most of us who were priestesses or healers in past lives didn’t fare too well!! So the idea of working on this stuff can be scary – particularly to the part that knows how dangerous it was. My advice would be to be very discerning in choosing a therapist. Ask around and get personal recommendations from people who have actually worked with the therapist. Make sure they are very experienced and highly recommended. This is powerful work that requires capable and experienced guidance. Good luck! It’s exciting work! I have had a number of guided past life sessions where I have found out things about close people in my life. I have also come to trust my own intuition about those that I feel I have a past connection with. I am most fortunate to have a friend who is a psychic healer that can tap into the details of these past life ‘shadows’ I get. One of my most interesting past life experiences of all was flying into Calgary one night quite late (I had visited here twice before and knew that the friend I had met on my first visit was a very close life partner previously. This particular night I was very relaxed as we came over the lights of the city and my mind fairly shouted at me ‘I’m home!’. In the first instance I wondered where it had come from but my deeper self knew and was leaping with joy. I find it interesting that there is no mention of Dr. Michael Newton and the books he has written involving past life regression. While I love Dr. Weiss’ books, I find Dr. Newton’s books a bit more detailed and he has really organized his material. His first book is “Journey of Souls: Case Studies of Life between Lives.” He gives a lot of detail about individual cases (without names, of course) and even discusses how he honed his ability to work with his patients in PLR. Like Dr. Weiss, he also trains PLR therapists and his website, newtoninstitute.org, does list therapists by country, state, etc. In addition, Dr. Newton relates his endeavors to learn more about the afterlife or the spirit world. VERY interesting! Other subjects dealt with in his writings are future lives, spirit guides, suicides, choosing our next incarnation, judgment (or lack thereof) in the afterlife, after reincarnating is done, etc. Added Note: Dr. Newton actually refers to his practice as “Life Between Lives” or LBL, however, his books do, indeed, deal with past life regression on Earth as well as time spent in the spirit world. How do you know it is really YOUR past life you are experiencing? 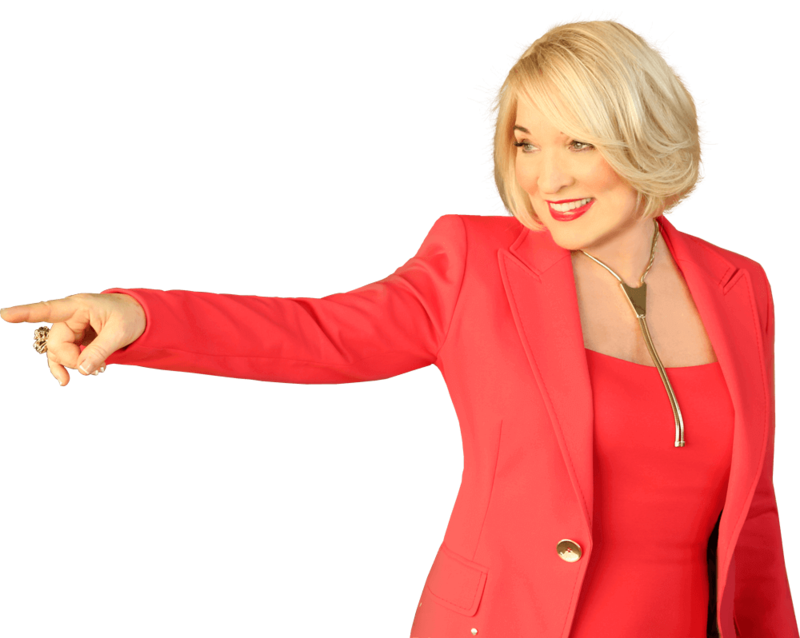 Hi Karla – great question! After doing years of past life work, I have learned to hold it all very loosely. Getting too caught up in the story and details can cause its own problems. You’re right! We are all connected. I think it’s the energetic imprints that are important to clear. If we are holding certain energies or traumas in our body (often ancestral), and can connect to and clear these energies through past life work, this is where the healing happens. I find that if it resonates deeply with me, I go with it. There’s something there that needs to be cleared. And speaking of ancestors, I do also think that as we do our own healing it not only heals us, but also the past and the future (our ancestors as well as our children). Powerful work! LOVE Past Life Regressions. Sometimes, I learn more than the Past Life clients–about history, about balance in experiences, about our life’s purpose. Past Life regression can be so powerful in dealing with issues bothering people in this life. I love the wonder on hypnosis student’s faces the first time they guide someone to a past life–magical! I truly believed in all that you wrote. I myself experienced helping some of my friends and family to go back to their past lives. I was 19 when i got curious after reading a book, followed the steps and all of them went back to there traumatic events which is death.. I knew fom a young age that I had suffocated in a prior life. It took me many years when the clues kept coming but it hit me one day. I was in my late 40’s and I realized that I had been my own grandmother and had TB. I died at the age of 26. She left 2 daughters and I was born to the oldest daughter. Then later I figured out who my twin sons were. It is so incredible and you realize that nothing in life is an accident. I began to realize all of the connections and how it impacted my life. It’s just as if there are threads connecting everthing we do and it impacts so many people around you. I also have “knowings” where I know things ahead of time or something will come to me when talking with someone. I am blessed!!! From a young girl,always had a fear of fire,being caught in fire.An eerie experience whilst visiting Madame Tuassards in London with my 2 daughters( we were on holiday from Australia).Came to a model of Joan of Arc being burnt at the stake..I immediately slumped to the floor (to the embarrassment of my 2 teenagers as there was quite a crowd there)A voice right in my ear said.That is you. Or That is how you died.Cant remember exactly which,but I couldn’t move for about 10 mins…shook me to the core and took me several months to get over it,but no longer had the fire fear.Have also had a lot of North American Indian” experiences”Believe Sitting Bull was like a father figure to me.My most profound experience was 10 years ago when I visited Thailand for the 2nd time.Said to my then husband as we landed” I feel like I am coming home.”3 years later after many visits,met a man and we both agreed straight away that there is a connection there somehow…Returned to Oz and could think of nothing else,had several” readings” all verifying what I was feeling…had met my soulmate.Previous marriage all but over,so jumped in boots and all.We both believed full y we had been together before.Then we went to the old Buddhist Monk who told us we were from a previous life but gender roles were reversed!!!! We have since married and last time couple of months ago when I went to see the Monk he told me that this is my last time on earth…I will not be coming back.Had been told this a few times before in Oz also…..but when it gets told again by someone 1000s of kilometers away who doesn’t know anything of your past,makes it profound!!! !Told my husband,we have to get it right this time cos this is the last time we will be together…..made me sad to think this,cos I love him with such intensity it actually scares me. You should know that you and your husband can blend energy in whatever form you take. Enjoy your time on the planet together, knowing that you never need to say a final goodbye. Even if you do not come to Earth again together (and I would say that this is a decision you two can change at any time between lives), you can always find one another again. Spirit is eternal and love with it. In 2012 I was diagnosed with Stage 3C Ovarian Cancer which I was told was incurable. I was left with no option but to go within to heal and after I offered up a prayer to be shown where the cancer had originated and for complete healing I settled into meditation and surrendered to what might take place. I was taken back to Switzerland in the 1500’s where I was a healer in that life, or some may say a witch (I am also an intuitive healer in this lifetime). I had 3 young ones who were my understudies and we got “caught” practicing our craft. My punishment was to watch my understudies be burnt at the stake and then it was my turn. The uncovering of this information was very emotional for me as I understood how I had brought this unsealed trauma into this lifetime. I had been emotionally, physically and sexually abused and had always believed it was my fault. Consequently I had lived my life continually trying to be a “good girl” and was always operating from a flight/fight place, being hyper vigilant to try and advert anything from going wrong. The suppressed anger finally reared its head and I developed cancer. Once I healed this and changed the beliefs I had formed around this trauma I was able to heal myself. See http://www.jennykennedy.co.nz for more info. Dreamt of being a young woman and think a doctor I worked for mutilated my body and somehow connected to a bath. My whole body was mutilated and the intensity of such mutilation inconceivable to re live safely. I believe this one of my first conscious past lives, and had several others involving physical harm to myself which extremely traumatic and all difficult to resolve. Great reading other people’s experience with this and having a forum to voice my first conscious past life experience. I totally believe in the healing power of past life regressions. When I was 20 I experienced it first hand. I had been at a new job and after the two month training period I was placed out with the other workers. It was all good and I was enjoying it, except I was having trouble with one of my supervisors. Every time I was around him I felt as if I couldn’t breathe and was drowning. I didn’t understand it at all. He seemed to be a nice guy and the majority of people liked him. But I couldn’t shake the drowning feeling I got around him. It hot to a point after a couple weeks that I was driving home in tears thinking I may have to quit the job. I didn’t want to because it was a good paying job and I was enjoying the work. On my tearful drive home I remembered that I had read a book a few months prior about past lives. So I sent out a plea to the universe asking that if this strong feeling I was having toward my supervisor was due to a past life, and if so, I’d like to be shown it. That night I had a dream about a past life. In it I was poor and lived with my father. We had gone to the marketplace to buy, sell and barter goods. I don’t know what year it was or where it was, but thinking back on it I can only think it reminded me of a scene from Aladdin. So perhaps the Middle East? Men on horses came through. They worked for someone of a noble stature. I don’t think he was a prince, but he was very rich for the time, lived lavishly, and basically ran the village and other areas. One of the men told my father they were taking me with them for this rich man. We couldn’t do anything about it or we would be locked up and/or killed. So I was brought back to this mansion-like home the man lived in to be part of his harem. I was bathed and clothed in the attire meant for the harem women. When I was eventually brought to the man, though he didn’t look like my supervisor from this life, I knew upon waking that it was him. I had become a favorite of his, and as time went on he spent more time with me than any other harem women, and also including his wife. But the odd thing was, the only thing that ever happened was that he talked to me. We did not do any act that one would expect from a harem girl. We never even touched. He spoke, I listened. That was all. But of course everyone thought other things happened. Eventually, over time, his wife became so jealous over the attention he gave to me over all others, including herself, that she had a few of the guards take me down to a nearby river and drown me. When I awoke, I KNEW this had been a past life I shared with my supervisor. As I got ready for work I silently forgave him for his wife’s actions. After I forgave him, I felt lighter. When I went into work, all those feelings of not being able to breathe and drowning were gone. We became fast friends. It’s 20 years later and neither of us work for that company, but we keep in contact every so often. I still consider him a good friend and one of the best friends I made at that company. When my son was born, I remember the look on his face was a bit ticked off he was back…and I said that out loud.When she was 2 and a half to a little over 3 years old my daughter would talk about her other parents and being married, something she did not like. One night she asked me if I had seen her babies, I said no…she looked so sad. I was rocking her before bedtime. I asked when was the last time she saw them, she said, “in the fire”….and she has been looking and looking for them since then but can’t find them. I, too, believe in past lives after reading Brian Weiss’ book. His recorded stories about Catherine and the Masters are too real not to believe. Can you recommend someone trustworthy in Maine who does past life regressions? I have been looking for a professional to guide me through one. I have had a few past life experiences. I used to do self-hypnosis and during one of those times I saw something that seemed to happen in just a flash, but I gleaned so much information from it. I saw a man on an outdoor stage. It was hot and he was giving a speech. He was wearing slacks and a white shirt with the sleeves rolled up. I was standing off to the side and, although I got no names, I knew that this was my man (husband, boyfriend?). He was speaking quite emotionally about something. There was a large crowd of people and they were dressed in such a way that I surmised it was during WWII. The man I saw speaking was a man I had dated in present time. I also used to write down my dreams and sometimes didn’t even remember dreaming until I looked at my notebook in the morning upon waking. One time I wrote, “Dreamed of WWII times again” I thought “again?” So went back through my notes and found several more references to to that period. The dreams happened before the self-hypnosis event. After you contacted me about 10 days I submitted my story about healing from Stage 3 C Ovarian Cancer by getting to the root cause which originated in a past life. I haven’t seen it posted and was wondering if, in fact, you did receive it. Another serious encounter with my previous lives in 2011 , long before reading Dr Weiss books . I had a tour visit to Baalbek ( famous Roman site in Lebanon ) . Reaching the temple of Bakhus , I had strange cold over me while the tour guide was explaining details on what was going on it that temple. I was continuing each of his sentence in details / names / facts as if I was there . I was closing eyes and visualizing events. I even mentioned that there was a giant 6m wooden door at the entrance which is no longer there . I visualized Ceasars on the top seat , dancers, colors, wine, drunken people … a wole scenery . At the end tour guide asked me ” sir , have u visited here before?! You know a lot ” . I smiled and said ” I guess so , I’ve been sometimes ago ” . I am Lebanese indeed . It was always my dream visiting Baalbek as a magnet call since I was 10 years … I did it at 40 . Now I know why . Time to time, I enchant my mind and make the visit in my mind and visual it as if it’s now.. This to confirm that spirits don’t travel far , I was there 2,000 years ago , in same country differently . Hi. Very interesting indeed . Personally I always walk feeling that someone is walking behind me to attack me by hitting me on the back of my head with a hard pipe or a metal thing it always makes me discomfortable walking in the park… I never experienced any incident ( physically) of a such in my life, say this life. My walks in Park, streets are always accompanied with fear . As to my “vivid dreams” I always have this dream that keep coming about a crushing aeroplane (Air France) .. Sometimes I watch it crush, other times I feel it when am in it . Strange that most of times I have this dream I walk up on a news that a plane crushed somewhere in the world ! After my divorce, I needed to know that I was capable of maintaining a relationship with a man for a lifetime! I had a wonderful session of regression into past lives. Turned out one of my past lives was indeed a lifetime relationship out in the Old west and I was a man that time! I’ve also had a lifelong love of art although I am not a professional artist I was in a past life time! After reading most of the posts here, I have to say this is just so amazing and interesting. I too have a couple of remembrances from past lives. I always had an interest in the pioneer history of the Mormon Church. I loved reading about it. Now I realize why because I was a young mother to be, traveling with my husband and all of our earthly possessions packed in our covered wagon and pulling along our cow. We were heading West out of Virginia. We were very close to our destination when we were surprised by a group of Indians. I was shot with an arrow through the right side of my stomach area. My unborn child, who was a girl and I died. My youngest daughter was my unborn baby then and my current husband was my husband back then. To this day I have a very tender spot where the arrow hit me and right now while I am talking about this, it is really itchy! Another life I remember is after taking a trip to Hawaii to visit Pearl Harbor, I was on The Arizona and looking at the names of the men who lost their lives. I was so overcome with grief and emotion I could not even stand up, even now I have tears running down my face. I was a young man with jet black hair and blue eyes around 19 years old. I drowned in that spot. I have never been regressed but would love to. I know I have many more lives to remember!! I know how you feel. Sometimes when I think that I’m going to have to come back here & go thru all of this all over again, I just feel sick. I have always believed in reincarnation – it just makes sense to me. I cannot understand why people would find this a bad thing. I feel it gives us different experiences in which to learn and progress as a spirit. One lifetime is not enough. Someone described it to me as school – you start out in Kindergarten and progress upward. That way you have time to learn things, rather than having only one chance to learn or not. Life (multiple lives) is all about learning, experiencing, advancing as a spiritual being. Not about just going thru in one shot. Different experiences give different opportunities. You couldn’t learn in Kindergarten what you learn in college. It takes time to progress there. Yes I do believe in reincarnation… absolutly I do… the nicest thing about coming back and having another journey is that you do move upward and each life there after gets easier and easier… this is earth school and not one single being has it easy … thats why personal growth is forever expanding … God didn’t say it would be easy… God said it would be worth it !!!! Yes i believe in reincarnation. I met a woman’s,who was teaching me reflexology, and I had a treatment from her. All of a sudden she said, I also do past life regression. I had been looking for a therapist, because I was really interested in past lives. I was so surprised by her remark, that I didn’t say anything, but when I got home, I phoned her and asked why she dphad told me that, and she said, I don’t know. But we made an appointment and I had an amazing experience. I went through three lives, one on Norway, one in Germany, and one in Palistine at the time of Jesus. The last one was overwhelming, I was at the place where Jesus fed everyone with five fish, and he walked by me and touched my head, I was just a small child, and from that point on I was going to preach his words, my father in this life was my teacher, and I walked among the sick and poor and healed them with herbs, with my best friend in this life. Utu know them by their eyes. Truly a wonderful experience , I eat organic in this life and I know I have had many other lives , being burnt as a witch in one. I’ve been doing past life regression therapy on my clients for the past six years and I’ve felt very honoured and humbled by the work, helping and supporting people in their healings. I have heard amazing stories and when guides have managed to talk through the client and given profound messages for me and my clients and the level of philosophy has been outstanding and enriching. I had one experience of being a North America Indian living with my tribe. The feeling of being one with nature, strong community, being led by the seasons and sense of peace was overwhelmingly beautiful. In coming back into this life it took me four days to readjust to this life. I so wanted to be back there and not here. The sense of bliss i felt I know that it is what I am seeking in this lifetime and I get brief feelings of sheer bliss and it rapidly goes once I acknowledge it. I will obtain it here despite what is going on around me. I love this!!!! I had to share my story…I was blessed with parents my mostly my (mother) who was woo woo way back before open topics of metaphysics was hardly talked about or cool. I knew all about it at a 3 years old… I was meditating at 13…Got the first edition from my Mom You Can Heal your Life by Louise Hay. The sessions were beyond amazing. I relived 3 past lives and the birth of this life.. I remember every tiny detail. The first one I was an african boy in Africa died at 13 years from a sacrificial ritual Ugh.. Then I was an American indian woman who died in Tepee fire with my two small children. Then the last one was in the late 1800’s I was a woman in Washington state living on a farm with a lovely family 2 children a girl and boy and a very sweet handsome husband. We had a beautiful life and I lived an long life and died peacefully in my bed with my grown children holding my hands .I remember every detail, the sounds and smells and the colors.. Even the breezes in the air. I remember I could feel the fabric of my night gown and the bedding and the sheets were lilac in color.. My husband in that live was so special.. I watched my self being born into this life and the feelings that I had about it.. ( I wasn’t ready to be here). Didn’t want to come back in a body yet. Thank you for all of your progressive wisdom and heart warming love for humankind… I know we are kindred spirits! 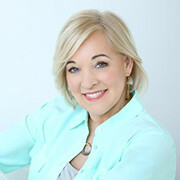 Hi Dr. Christiane, do you do past life regression therapy? Through past life regression I have learned that my daughters were my younger sisters in the 1600’s in England. We were in really fancy dresses leaving me to believe we were royalty. Everybody I love seems to leave me and go away. The people who stick around are the ones I dont love- or need something fromme. Recently, the love of my life walked away leaving me in severe depression. Try as I may, I cannot get over the feeling that this is related in some ways to my past life. I tried DrWeiss CD- no use. Cant visualise anything. I try to meditate but end up more depressed. I live in the Middle East- so cant find a therapist. I need help- any advice! Sudeshna – I know how that feels! I’ve spent a lot of years knowing that there are past life wounds that keep holding me back no matter what practices I do and at a certain point I recognized I needed assistance with this. And I found a healer when I was absolutely ready to commit to the healing process. There are many healers who work long distance via skype, etc, that is how I connect with my healer. If you ask for the right one to come your way and then actually reach out, it will happen! Best of luck! I had a past life regression several years ago where I was a young Greek girl of about 8 years old .My name was Aisha. I wore a white tunic trimmed in gold braid. One day I was out walking and fell off a cliff and landed on a ledge below. I was never found and died there. The feeling of loneliness was so real. It brought tears at the time of the regression. I have felt that same feeling at times in this life. It still brings tears thinking about it. Thank you Dr. Northrup for such a beautiful explanation of regression. It has changed my entire life and I now honored to carry out the legacy work of Dr. Coletta Long. Dr. Long was a pioneer in the field and created an energy release technique to shift the energy at a cellular level. Whether we explore our past in this current life or into other lifetimes, I continue to witness how accessing the core root of the memory is an incredibly effective way to evolve the mind, body and spirit. To truly live an empowered life. 16 years ago, a friend invited me to a past life regression “party”. A bunch of women all lying down on a living room floor, while a trusted regression therapist led us through a journey of the mind. While most people were snoring, I began to have a vivid scene in my mind taking me back to several hundred years ago…I was in a northern Asian country, my husband at the time, in real life, was my twin sister, and I was being tortured on a rack for having aborted a child that was the result of a sexual act between my father and I. As I was being tortured, and on the brink of my death, it became very evident to my observing mind, that my father in this life was my MOTHER in my current life. The pain and shame I felt from the incestuous act and subsequent abortion had thwarted my dreams of motherhood in my current life. I had been trying to become pregnant for years and very seriously trying for the past few months. This realization was an epiphany to me, like a door of light was wide open to a consciousness I was unaware of. In one month I became pregnant with my son. There was no doubt in my mind that my successful pregnancy was the result of this regression and my body’s subconscious awareness being unlocked. For those who are asking about Past Regression therapists in your area… you may have noticed that in the email announcement of this article, there are links to Dr. Weiss products, including a couple of CD and audio downloads. The audio downloads are only $5, if you are on a budget. As a comparison, I did a quick search of Past Life Regression therapists in my large metropolitan area: one person does not take insurance and charges $225 per 55-min session, which may be a stretch for someone on a tight budget. So there is a range of services available for every purse. I think one should try something out for curiosity’s sake and see if there is something useful to be learned from the experience, especially if you suspect painful ties to another life. Thank you for this recommendation. Many times, listening to an audio download is all that is necessary to access and clear a past life! For years, I have had dreams that hint of a past life. The most memorable one: I’m an adult woman dressed in a hood and long gown, there is a volcanic eruption and I am running away from the flowing lava, trying to protect a young girl about the age of 5 who is lost from her family. I covered her with my body and tell her its going to be alright and then everything went black. Could this be the tragic Pompei? I’ve always wondered. There have been others but this is the most vivid dream I’ve ever had. It’s all very fascinating. I went to bed and settled down to sleep and whilst in that space between drifting off and falling asleep I experienced a huge flash of a scene right in front of my eyes. It was that of a blonde woman, wearing a scarf over her hair and tied under her chin like women in the 1940/50’s did. The background of this scene were old stone buildings and cobblestone streets. I somehow knew this was not in North America, but in Europe. It wasn’t so much of the vision but the impact of how it hit me. It was so intense as if someone punched me in the face that I bolted upright sitting on the edge of the bed, hyperventilating. I was born in 1957 so if it was a past life it was a quick reincarnation. Once I opened myself to believing reincarnation more experiences of possible past lives came into my life. I believe that many of us had lifetimes during World War 2. I have had a number of dreams of being Jewish and being killed at that time. Same with one of my daughters. The main thing is to bring forgiveness and healing to any unfinished business so we don’t have to keep repeating patterns. I have always felt a sense of I don’t belong here, as a true believer of reincarnation and metaphysics. My heart aches of loneliness, as I suffer from severe depression and severe anxiety for many years. I am missing a life or something I had. I have passion and love for things not of this time. I don’t recall having experienced regression,yet. I think my depression or medication blocks it. Reincarnation has intrigued me for years, and I’ve read many books on it, gone to a Brian Weiss seminar etc. Learning about reincarnation made the world make so much more sense to me. I could never understand before why so often bad things happened to good people and good things happened to bad people. It just didn’t make sense. When I understood that all hardships and pain were lessons that we were learning (and chose to learn) in this incarnation, the world made much more sense to me, and I was able to be much more accepting of many situations. I’ve felt like a past life regression could help me with certain issues that I have, but hypnosis is necessary for a past life regression, and to this point I haven’t successfully been able to be hypnotized. I’ve tried multiple times over the years. As much as I consciously would like this, it seems like on a deeper level I’m preventing myself from allowing it to happen… maybe being self-protective? One Christmas when home from college for the holidays, I was sitting in the living room talking with my father. That day he turned to me and said, “You might think this sounds crazy but I always thought you were my mother reincarnated back to this earth.” I calmly said “So did I.” My grandmother passed away before I was born from a freak accident which happened while she was holding two horses for my grandfather. I came into this life loving horses and from as early as I can remember, I had felt I was my grandmother reincarnated. Reincarnation was not spoken of in my midwest, Bible fearing family and I had never brought it up. What a vivid story. And it makes so much sense. Interesting how the mainstream tries to repress this knowledge. Cause it is so liberating. I feel that I’ve been here several times before. I have 2 grown kids and they are both very different. I’m sure the relationships I’ve had in my life have been very difficult due to me. And my unsettling self. Every day I battle with emotions due to what I’m sure is from a past life. My belief that ‘No one really dies’ has subtly changed my attitude and thoughts about my life. I say subtly because no one can really know for sure, but the idea has taken root in my sub-conscious and affects my entire attitude about life and being. I live in northeastern PA and am also wondering how to find a qualified person to work with who is trustworthy and ethical. I hope you can direct me. Thank you. Hi Dr. Northrup, Last week I went to my first appointment regarding my past lives. It was amazing! A couple of hours afterward I got a bad headache and I never get headaches…ever. It waned over the next couple of days as well as feeling all out of sorts and really tired. Now 9 days later I had diarrhea pouring out of me like I never ever had before. Immediately I figured I was purging things out of my system from my reading. I totally believe in past lives as the soul never dies. I can’t wait to continue on my journey with this…..would like to put my past lives to rest so I can enjoy this life more. Thank you for validating what lots of us have felt for many years and didn’t talk about because we didn’t want other people to think we are nuts! Love you!!! Indeed it sounds like your body is pouring out old holding patterns. And you are so wise to KNOW THIS!! And , like me, to want to “get it right” this time so as not to have to repeat painful patterns! It is great that you are writing about past-lives. As a physician who has been practicing for 50 years, I believe it is one of the most helpful treatments people can do. Unfortunately, it is rarely discussed in medical circles for fear that we will be thought of as weird. In 2014, I developed a left shoulder rotator cuff problem. It had been a big winter here in Minnesota, and I had been doing lots of shoveling and cross-country skiing. By spring, my left shoulder was painful, and I had trouble putting on a sweater, because I could not raise my arm above my head. I was developing what we call a frozen shoulder. I saw a sports medicine colleague, and he told me that I had a rotator cuff tendinosis which he described as an “overuse” problem. He told me that in people my age, there is often micro-tears in the shoulder muscles related to excessive use and aging of the muscles. I, therefore, began to do some treatments to heal it. Those treatments included physical therapy; then acupuncture; and then massage. I improved maybe 40%, but I still could not lift my left arm very far above my head, and it was painful at times. I then decided to take the advice I occasionally give my patients, and I went for a past-life therapist who uses hypnosis. During the one-hour session with Eric, I returned to 14th century Europe where I was a warrior who used his left hand for fighting. We had just been victorious in a big battle, and we then went into the nearby town and killed all the women and children. As I was relating this to the therapist, Eric, I was also feeling incredibly sad and crying quite a bit. After the session, Eric and I discussed what had occurred, and I then went home. The next morning, I awoke from a sound sleep, and my left shoulder was 80% better. By the second day, I could raise my arm easily above my head, and my shoulder problem was basically healed. I was left with maybe a 5% decreased range of motion, but there was no more pain and almost no restriction in using it. I was once again reminded of the complexity of health and illness! I love this story Bill– thank you EVER so much for posting it as it will help so many people. I have found the comments to be fascinating! I have been a follower of yours for 30 years. I love how I seem to be where you are every time you move us forward! Maybe a past life together! I had an amazing life changing experience on my holiday to Scotland this summer. I have had a yen for Scotland all of my life. I married a Yorkshire man when he sang “Will ye not come back again” to me. I only realized this year it was the song for Bonnie Prince Charlie that the Scots sang about bringing him back from France to be the King. I went to the Culloden Battlefield and in the Highlands on a tour this summer and I knew I had been there when the English did an ethnic cleansing of the clans. I could hardly breathe. Next day I had such a serious lung infection (where I hold my grief) I had to be taken in a wheel chair to get me on a plane and home. My nurse friend and healer picked me up and worked on my energy . I said “why did I go there?” Thinking it was to remember my husband who has passed. This is the message that came to me “To reclaim your soul” . ” Reborn”. The next morning I heard “Cough it up and spit it out”. I do not hear messages but I did then. I feel like I have left so much pain and sadness behind and now at 71 am coming into full purpose. I am grateful for the courage, determination, and loyalty, that I have brought into this lifetime. I also know I was a Knights Templar and again the connection to Scotland. Next visit will be with a light heart and the ability to walk in the green highlands and smell the heather with the love I have always had for Scotland! I leave the past behind! Thank you for be such a Lightworker! My first PLR was by hypnosis. I was six and was ran over by a cargo wagon in the late 1800s. The exact places the wheels hit my body is where my spine is currently deformed. I heard of a child born without an arm and told his family as he got older he lost it in the mine field. Amazing stuff! Thanks for a beautifully written article. I am a Brian Weiss trained PLR Therapist, who presently practice in the Caribbean. Google my name and you will find a contact for me. I would just like to point out that coincidences are more than just de´ja vu. Sometimes they are synchronicities, which are important mystical guideposts. They attract our attention, give us messages or let us know we’re on the right path. Thank you so much for your empowering work! I would like to receive news/views/ information/new breakthroughs etc on PRT. Also, if there are any PRT therapists practicing in India, specifically in New Delhi. Dr Brian Weiss doesn’t have a list of Regressionists on his website. It’s difficult to get to the Omega Institute in New York from the UK. Why doesn’t he have a list of people he’s trained? I had a past life regression session with Linda Backman several years ago. She resides in Colorado, and at the time I lived in New York, so we did it by phone. I’m convinced that experiencing the past really helped me understand the present. I was a young black woman (today I am a white woman) and was badly beaten and then buried alive in cement. The suffocating feeling and overwhelming sense of powerlessness have snuck up on me at times, but now I understood where it was coming from. I also discovered I was pregnant at the time and felt guilty for the death of my child. Today I have a 34-year-old son with Asperger’s, OCD, and Schizoid Personality Disorder who still lives with me. Although everyone has encouraged me to push him out of the nest, I’ve been unable to do so emotionally. Now I realize why…I still have the guilt of the death of my child on my hands. Wow! It sounds crazy, but it makes so much sense to me now. In another lifetime I was a white female who was strangled by my husband for speaking up in defense of black people in a public forum. It turns out my husband in this lifetime was the same guy! Luckily I’m divorced now, so I was able to work that out. Interestingly, our son married a black woman. I was told the strangulation was the reason I had so many sore throats in this life. I guess we should all be more understanding of others, because we don’t know what past experiences they’re still carrying with them or what karma they’re here to work out. Linda Backman also explained to me that we each belong to soul families, and probably those closest to you are all part of that soul family. You work on different issues each time you reincarnate, and you take different forms (gender, race, social status, etc.) each time. Thanks for making more people aware of this. Going through a regression therapy has awakened my kundalini energy……… So grateful………. I have a distinct pigment disease on my face. It looks like a bruise covering my eye and cheek. I get many remarks from strangers who think I am abused. I did a group past life hypnosis with Mark Johnson and vividly recalled the past life that I got the marks from.. I was a young slave and was being stoned to death, I was trying to cover that side of my face! We moved from Wisconsin to Arizona in 2000 and my barely 3 year old grandson started having tantrums about wanting to go home, “home by the horses”. After several of these my son said OK, show me where and that small child guided him through the NW end of Phoenix to an area in town where there was a huge pasture area full of horses. He said that is where he lived. After that experience he seemed to forget all about it and did not cry to go home by the horses anymore. After that I had a regression and it triggered many flashes of past lives in my dreams. I then studied to be a certified hypnotist and studied past life regression. I found it was not unusual during a session for someone from the other side to visit the client during the regression. It was also very common for some sort of healing to take place. I found this sort of thing works well by phone as well as in person. I worked with clients around the country as well as in Canada. I am retired now and took my website down. I have studied the works of Edgar Cayce, Brian Weiss and Dolores Cannon for many years. past life regression therapy and get to work with clients whom after one session have life changing results. I felt at an early age that I had a sixth sense. I was able to “see” an aura around people who, unbeknownst to me were literally at death’s door. As for my own reincarnation, I felt that I had either been strangled or hanged. In my late 20’s I was diagnosed with hyperthyroidism, and subsequently had my thyroid surgically removed. I have a strong suspicion there is a connection. I have done a number of past life regressions. I was told I used to be in a tropical environment. Years later, I visited Hawaii and it was like coming home. The hills in the distance seemed filled with living song and it was all so familiar. When I return to the islands and step off the plane and smell the plumeria, I know I am home. Then, as now, I was female, and a native woman. It would have been in the 1700’s. In another regression I was the founder of an early American colony, not sure of the timing. I was old and about to die. I looked up and down the rows of the weathered houses, seeing that all of them were so close as to be almost attached. I saw my homespun suit and my hand-knit stockings and finally saw what hob-nailed boots looked like. I climbed the stair to my bedroom to die and passed the servant girl (who was my grandmother in this life) and went upstairs to my bed. There was no spring or support under the thin mattress, just woven wide panels to hold the mattress in place. I’d never seen such a thing but it made perfect sense. I put on a stained night shirt and got into the bed, waiting peacefully to die. I was an elderly male. Another time I was a beautiful young woman who was in great abdominal pain and dying. As I writhed in pain and clung to a bedpost, I saw my servant girl running on a wooden sidewalk, apparently hurrying to my side. The girl had the look of my daughter. In my current life she looks just like me and I’d always thought she looked like ME. Imagine my surprise that in reality, I look like HER from a past life. I must have died from the pain because in this life I have always felt susceptible to abdominal pain. I also saw myself as a soldier in WWII and I was in a Woolworth’s dime-store in Philadelphia, Italian and male. I knew that I was about to go back to the front and that I would die. It was about 1944. Another time I was “told” out of the blue one day in a voice of my long deceased great grandmother that I was her third daughter who had died of scarlet fever at the age of four in 1901.. I’d heard the horrible story before about how the undertakers came to the house and poured formaldehyde onto the girls dead body in her zinc lined coffin so they could ship the coffin home on the train and not worry about spreading the disease. My grandmother had only told the story to me years before and NO ONE else in the family had ever heard it before. I went to the little girl’s grave om a trip home to the Midwest and I sensed the connection immediately. Several years ago I went through a course and decided to call one of the teachers. She is a nurse and has a PhD. While we were talking I went into a trance and saw two lifetimes. In one, I was a soldier in WWI and in the other I was an African woman. It totally blew me away. i worked for a psychiatrist in the 70’s who, among many things….also, analytic to the core….did past life regressions if the regular therapy wasn’t seeming to be effective with somebody. later, i went to therapy school and got an MA in clinical psych and an LMFT. i’ve had several regressions, have done them for clients and find them very effective in certain cases. since that time, i met a man named bill baldwin, dds…who has since deceased, but you can google his information. he learned hypnosis for his dental practice, went on the do past life therapy and then realized sometimes there is “more going on than just the person on the couch”. he discovered what he called “clinical depossession” or “spiritual cleansing”,…spirit releasement. therapy….also done with hypnotherapy. that took the whole process even deeper in a very fascinating way. I studied French with a school group in the high Alps of Switzerland in 1968. It felt like going home. I cried when I had to leave and felt homesick for some time. I went back with my sister and daughter, my best friend and my x husband and every time I did not want to come back. Something wells up in my heart whenever I think about “going home” and I try everyday to think of ways I can get back there. I have never felt more alive as when I am in the Alps. I think I was Heidi. smiles. Since yesterday I have received two different references to past lives, this blog post was the second. I feel like this is a sign that I need to dig a little deeper in this area for myself. I know I wouldn’t have been ready for it even a year ago. I am 46 now and have a very clear memory of being about 4 or 5 years old, sitting in my bedroom at my little table, coloring, and I had this thought: If I hadn’t shown up here (in this body) I would have shown up somewhere else. I’ve carried that around with me all these years, and have always felt that I lived before. When my youngest daughter was born 9 years ago I felt a connection to her that was different than my oldest daughter – I felt she was my mother in another life. She is very loving and motherly towards, which is sort of funny and sweet coming from a 9 year old child. But I know deep down that this is not our first rodeo together – and she knows it, too. Driving to school one morning she asked me if we get to live more than once. I didn’t want to feed her any answers so I just said, “What do you think? Do you think we live more than one life?” She said yes, and I agreed and told her that I thought we knew each other before. And she very casually replied that she was probably my mother. Whatever we’re working through I hope we’re getting it right this time around. Thank you for sharing about past lives. I have gone back a couple of times and I want to know more. Back in past lives were traumatic. At that time I was learning to astro travel. My husband and I visited a prehistoric Indian mound and I had an unusual experience. As we parked at the base of the mound I suddenly started sobbing and felt as if my heart was breaking. Fortunately, there were only two other visitors who were not very close to us so did not witness my odd reaction. As we climbed the mound it became more and more strange as I felt as if if were in a different dimension. When we reached the summit I suddenly felt that I was surrounded by souls who loved and knew me well. I felt as if I was finally home and that I could almost reach out and touch and hug family and friends. I knew that I had lived there. It was a wonderful experience, in many ways, but it deeply shook me up. I didn’t want to leave. We visited other mounds in the next two days and although I felt reverence for these ancient spots, I did not have the same experience. My husband tried his best to console me, when we left, but I still yearn to return. I am a white female with Irish ancestory and perhaps a bit of Native American according to family stories. This was not an experience that I expected. I’ve told this story to some of my family members but no one else. Through our my life I’ve also had very vivid dreams about living in a brick apartment building in the 20’s or 30’s. I would be interested in regression therapy if I could find a trusted source. I would like my experience to help me and others along this journey of life. I am positive my husband and I have been together in past lives. The minute I met him I was short of breath and felt like a lightening bolt had hit me. We’ve been married 26 years now and I still feel the same. Also, on one of our trips we visited a catacomb just outside Rome, Italy. I had a moment/vision where I saw people i knew walking in front of me dressed in robes and veils. I could see, hear and touch them. This was a flashback to when Christians were being persecuted so they hid and held services in those catacombs. I was remembering being in that catacomb hundreds of years earlier. Many times during this lifetime between the ages of late teen to young adult I would have a recurring “dream” of being trapped as a spirit in my modest cottage that I just thought to myself “oh I’m in Wales”. It was always the same…I would be in my lovely home with my long beautiful dresses that were of expensive material and color then it would suddenly change and I would see these gowns on the ground gradually fading (rotting?) away. I would see that my windows no longer had shutters and my door was gone. Everything that I looked at was either gone or in disrepair. Then a small built man of about mid to late 50’s dressed in tweed and wool would enter my home with a priest following him. The priest was maybe 10 years younger than the host. Also this man wore hair gel like what some men used to use in the late 60’s. The priest would sense me and turn in the direction that I was but I was so full of rage that I would “fly” at him hoping to hurt him. Then I would be “awake”. By the time I was about 25 or maybe a little older it just stopped. I am 81 and a recently retired professor of English. I’ve experienced considerable trauma and heartache in this lifetime, and the past 3 years have been especially terrible, filled with abandonment, serious health issues and deep grief. I have the strong sense that there are lessons in this which I’m simply not learning and wish I could find a trusted hypnotherapist in the Bay Area in California. jann J.
Hi Christiane, Thank you for addressing this important topic. Though I’d like to think we are born with a completely blank slate, I’ve come to see that many of us are born with conditioned behaviors, thoughts and beliefs we absorbed from our mother while in her womb, or from generations that have come before us, or as this article says, a past life. I totally agree that it’s important we don’t dwell in the past, using it to victimize us. Rather, we can learn from it, release and forgive, heal generations of trauma, and become the magnificent beings we were born to be. I have always been a believer in past lives, reincarnation and karma. 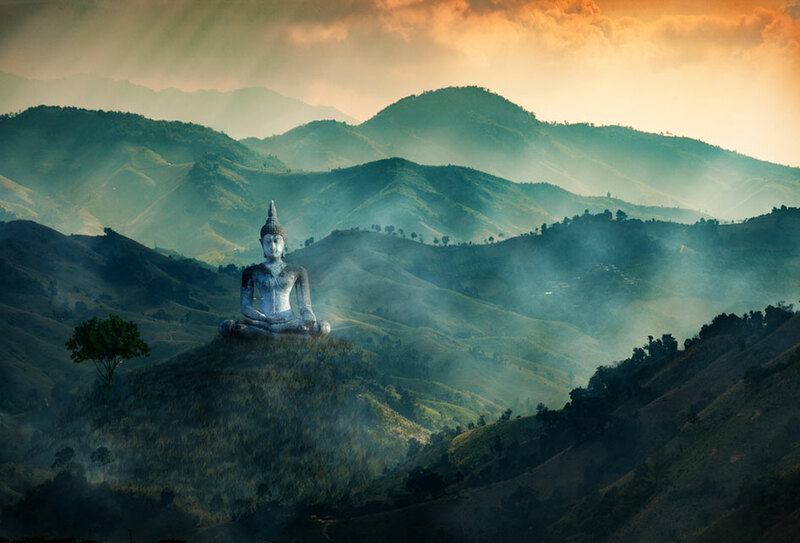 Even growing up in a household where we practiced Reformed Judaism, I was drawn to the East – incense, chanting and meditation. In any case, as an adult, I spent some time studying Kabbalah, and was thrilled to learn about the belief in reincarnation. Following this course of study, I discovered Dr. Weiss, read some of his books and attended a seminar of his in NYC in March, 2012. During the PLR, I saw myself living in Los Angeles in what may have been the 1920’s and passing away at a young age. I did live in LA from 2005 to 2008, and had often toyed with the notion of returning. My visits to Los Angeles were few and far between until February, 2014 when I returned for a few days to visit with friends. I decided that I had to move back – there would be no stopping me! With 6 months, I was back and my life would never the same. Everything changed for the better, and I saw so many dreams come to fruition. I believe that a lot had to do with that day in NYC with Dr. Weiss in 2012, and ultimately following my heart back home. I have never knowingly experienced a past-life experience (probably because I am pretty ‘here and now’ focused), but everything in me says ‘yes’ to it. I fully believe I am first and foremost a spirit being living in a human body; that nothing that happens is purely physical, but has a metaphysical aspect to it; and that everything is an emanation of The One Divine Spirit that infills and surrounds all of us, whether we know it and/or acknowledge it or not. What I claim often is that there is a gift embedded in every experience, no matter how awful it may appear to us in our human state, so expressing gratitude is one of my main practices. I am a Religious Science practitioner and know that everyone…every one…has a purpose for being here, the catalysts for which are worth discovering and honoring, no matter one’s age. I too have always been fascinated with this subject and began with Edgar Cayce many years ago! There are people I just “know” from past lives one being my recently deceased husband. Had some readings years ago on this and other subjects and now rely on my own intuition to know what is going on I’m my life. Thank you for such an in-depth discussion about this. We had had a number of traumatic deaths in our family and I was getting increasingly anxious about death, when a healer friend of mine and I were playing around one day with trance states. All of a sudden I found myself in the middle of a field. There were dead people everywhere. It was somewhere in Europe during the time of the plague. I felt this overwhelming sense of despair and went into a full panic attack. I kept saying “oh my God, they are all dead and I couldn’t save them!!!! My healer friend told me to rise up in the air, to keep breathing and to calmly envision all the dead people being absorbed by the earth and then to watch beautiful flowers grow out of those spots where the dead had been. As I watched this unfold the dread and fear disappeared and I was able to float back down to the ground. Since then the fear of death has gone. My healer friend said that I too was a healer at that time, but lost my mind because of the enormity of the plague situation and because I couldn’t save people. I lost faith in myself and my healing abilities. I will never forget how visceral and real it all was, because it was real. Had many other experiences like that, but this one was the most impactful. All I want to say is don’t try too hard in achieving these states. A mindset of relaxed playfulness is essential! Great blog, Dr.Northrup! I appreciate that you wrote about this subject as your credentials give credence to this Truth. I am interested in having a past life regression therapy session, but not sure who I can turn too or trust. I live in Aurora, Colorado, 80012 zip code. Do you have any one in my area that is a legitimate, trustworthy therapist that yo can refer me too? You can Google hypnotherapy professional bodies in your area, and they will have a list of trained and certified therapists. You can contact those who provide Past Life Regression therapy and find one that you feel comfortable with. It is important to make sure the therapist you see is one who has the proper training, and the professional bodies have standards of membership that ensure that training has been undertaken. I am in Australia and I’m a certified practitioner of Clinical hypnotherapy and Spiritual regression work, specifically Past Life Regression therapy and Life Between Lives Spiritual Regression, and I know that the same standards of training apply in the US. I’m sure you will find a therapist, and I wish you well on your journey of discovery and awakening to the fact that we are a spiritual being having a human experience…and that awareness changes the way we live our current life. Hi Jamee, It is a bit of a drive for you, but I cannot recommend Amanda Wallace enough! I had some remarkable past life sessions with her as well as other therapy. I have had friends go to her as well and she is a very special and gifted counselor. She may also know someone in your area she can recommend. I have very vivid memories of a couple of past life experiences. I remember being shot in the back and dying, I had a cyst on my back where the bullet hit me. I can remember what it felt like, it was very painful. The other memory is of being a homely Irish girl who fell in love and her lover left her and went back to England, I can still feel the pain and loneliness in my consciousness, it has never left me. I feel like I will put up with anything from my significant other just so I won’t be alone. Wow Franki! You sure would be a great candidate for this therapy that Dr. Northrup is introducing here. You can heal all of that from your past lives…..thus healing your current life and bringing an end to those feelings that your significant other is going to leave you. You have nothing to lose except all the crud that is holding you back from living a fulfilling life right now. Good luck to you! Jean S.
I used PRT to understand why I didn’t want people looking at my face. In a past life I had an abusive mother who used to kick my in the face and I became terrible disfigured. I also became a very angry and abusive to other woman as an adult in that lifetime. I was very healing to go back and heal that. Both Edgar Caycee and Briab Weiss’s work have helped me in healing. Several years ago, my husband and I attended a bas mitzvah at a temple in Des Moines. We are Christian and had never attended one before. It was like I was with family! I started singing and reading backwards in the songbook as if I had always done it! I was loving it! I came to a spot in the service when I couldn’t find my place in the book. Someone behind me passed me a different book, and I was on my way. When the service was over, the lady who had been sitting next to me asked at which synagogue I was cantor! I said I wasn’t a cantor, and then she asked which temple I attended. I said I didn’t, and she got upset with me! She reminded me of an aunt of mine. My brother Leonard looked like Leonard Bernstein! My paternal great grandparents last name was Adler; hence my grandmother had been an Adler. I’ve always wondered what that experience meant?! Also, a man stood up during the sermon, and began talking to his friend Herr Somebody or other on the other side of the synagogue, and they carried on a conversation!! Finally the Rabbi had to shush them up! That old man reminded me of my great uncle Ted, and I could see him doing something like that! Twenty-seven years ago, when I visited an ashram in India together with my wife, I was plagued by recurring nightmares in which I was chased by military police in a WWII setting. My wife, who is a trained therapist, gave me a session in regression therapy (my first and only one) to see if that would help. In the session I had a spontaneous flash back, in which I saw the mangled body of a young soldier on the ground who was wearing the blue uniform of the “Luftwaffe” and was obviously a German schoolboy who had served with an anti-aircraft battery and died in a bombing raid. My viewpoint was from above and looking through clouds of smoke. After the session the nightmares disappeared for good. I never gave it much of a thought anymore, until a few years later in a therapy group on resolving trauma we were led into a situation of induced massive stress. Suddenly I was back in the war scene, but this time from the other end. I was the boy experiencing a frantic combat scene within a German anti-aircraft battery, until the bombs rained down on us, and I was hit by shrapnel and died. Amazingly the experience of death was a very peaceful one, all agony and fear ceased. Although the link between those experiences of dying and death, which had shown me both the before and after, was quite obvious, I was rather inclined to dismiss them as fantasy. Only later when a psychic woman told me, what she had seen in me without having knowledge of my personal history, was I ready to accept the possibility of past life experiences being real. Suddenly some aspects of my life made more sense, like my early fascination as a child with stories and reports of the bombing of German cities by the allies, the fact that I remembered and sung Nazi-songs so easily, although I was born after the war, in 1946, and nobody in post-war Germany would have taught me those songs. That I ended up in my professional career working in a department for the compensation of war victims and German refugees from the occupied territories, a task which I had not chosen but had been assigned to me, it all seemed to be an ironic strike of fate, and almost a confirmation of this ‘past life’. In my job I became heavily depressed and had to retire early, which was a blessing in disguise, because I was able to emigrate from Germany. I live now with my wife in Australia, and I am free of depression. This is an amazing story. Thank you so much for posting it. It will help so many. I know somebody in this life whom I’m convinced I knew before. I have an unexplained bond with that person and I feel extremely happy in their presence- it’s mutual and it felt like this since day 1. I am intrigued to do a past life regression therapy. how does one find a practitioner? is there a directory available? Hi Kristin! I do past life regression therapy. I live in n.j. I trained with Brian Weiss and Dolores Cannon. If you have a reputable psychic shop nearby, you might want to start there & ask for recommendations. I liked a former colleague the moment I met her and we have remained friends for more than 20 years. She now does genealogical research and discovered that our families (many generations removed) come from villages six miles apart in Germany. I suspect we knew one another then. When she and her husband visited us several years ago, her husband fell in love with a painting I had done of a Scottish crofter’s cottage. She subsequently bought the painting as a gift for her husband. Yesterday, she contacted me to say that she had traced her husband’s genealogy to a spot in Scotland in the 1700s and sent me a picture of the crofter’s cottage on the property. It’s the picture I had painted! I have had many experiences that lead me to believe in reincarnation. Journey of Souls is an excellent book dealing with this topic. Reading this one gave me total body chills. Wow! I am a 72 year old woman who has been interested in past life regression for many years but I have not experienced it yet. I would like to know how to proceed in having it done. My income is limited which has been the main reason for not having done it, but now I’m ready regardless of the cost! What’s my next step? I would really appreciate your input. Thank you! I was born in 1957. When I was 7 years old someone in spirit form downloaded the whole concept of reincarnation into my young mind. That feeling was so true that I have known(not believed) that reincarnation is real. Only recently did I get the Idea to journal and find out who downloaded that information. What came through was it was an ascended master. Needless to say I was thrilled to know an ascended was around me. Now I am a certified hypnotherapist ( done through ARE), and I am learning to read the Akashic Records to assist others in soul realignment. I am letting my purpose unfold bit by bit, and enjoying life to the MAX!! Soul realignment … yes please! Thank you for encouraging people to explore past lives. As a hypnotherapist, I help people discover, explore and heal from prior life experiences. Most clients are able to meet their spirit guide and loved ones who have crossed over. For most people, it’s a life altering experience!! At the age of 14, in the very first moment that I met Steven, then 17 and a friend of my brothers, I knew that he was the man I would marry. At the time, I knew nothing of past lives or soul mates or anything paranormal or spiritual. All I knew was that the instant our eyes met, an electric charge entered my feet, traveled through my body and out the top of my head, and suddenly I had the knowledge that this was somehow going to turn out to be the man I married. It took many years and twists and turns, but eventually this truth was manifested. We are happily married and fall deeper in love every day. I have no doubt that we had some kind of connection in a past life. He, by the way, barely noticed that I even existed until several years later when we were both young adults. And it wasn’t until I was much older that I developed an interest in these spiritual and paranormal phenomena like reincarnation, etc. but it makes so much sense to me now. Today I feel/believe that we were probably in love in previous lives but life circumstances prevented us from spending our lives together. This lifetime together now is the culmination of many lifetimes of missed connections and being pulled apart unwillingly or some other sad circumstances. So grateful for him in my life this time around. Yes I have had past lives experiences in both waking and dream states. The waking experience played like a movie in my third eye where I saw the father of my daughter and I together. We were dressed in clothes from centuries before. This is one of many I have experienced in my life. How, (or is), this different from Primal Therapy and “The Primal Scream” that was practiced in the late 60’s early 70’s? It doesn’t need to involve screaming. Thanks for talking about past lives. This is such an important subject. I write about astrology – and especially about the recurring patterns from previous lives that are holding people back. The natal chart shows how past trauma and betrayal can take away the bedrock of self-worth – could make you think that you don’t have enough education, charisma, courage to be a leader – or show where you’re still looking for approval from people who’ve been abusive. Again, sincere appreciation and thanks for talking about this. Thank you for this thoughtful piece. 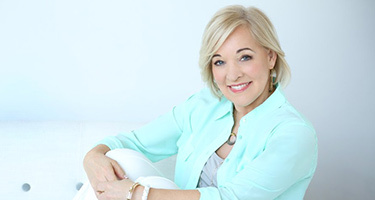 I am a Past Life Regression therapist and I have seen extraordinary things occur in the lives of my clients as a result of tapping into the past in order to better understand the present and to shape a more fulfilling future. Your insights can allow for a better and less fearful or skeptical understanding of this remarkable tool. I recently experienced a past life during regression therapy to a time when I died in a cave while hiding from a military takeover during the past Holocaust in Europe. In the regression, I lived in a mountain community, spoke German and was raised by a grandfather. In this life, I was then able to grasp how I was pulled towards being a student in Austria, picked up German easily without academic instruction in 3 months, and was very connected to my grandfather. The regression explained my earlier tendencies and helped me let go of my traumatic sadness around Holocaust movies and literature. I began to understand why I carried around this heavy trauma. I still feel sympathetic, but it is not a heavy burden any longer. My fear is not so much dying, I feel blessed in this lifetime. My fear is coming back to this planet to live a life filled with undesirable, horrible conditions. I’m hoping to evolve if I have to do it again! I conduct past lives for others as my profession. Each experience continues to amaze me. When someone is professionally guided through the process, from trauma to resolution, the healing that takes place is beyond what is received in traditional therapy because the healing comes from the spirit within, the part of us that guides our soul for its highest good. Thank you for this article. I feel tremendous gratitude when I hear that someone well known in the medical world recognizes this powerful deep healing technique. Oh I have been all woo woo since I was 12. Just now letting it out cause it’s about TIME!! Thanks! Pass life reading - where in ChicagoDoI see? Dr. Susan Wisehart has done several PL regressions for me. She is Brian Weiss trained. She has offices in Des Plaines and Mundelein. I also grew up reading Edgar Cayce and firmly believe in reincarnation although have never done a past life regression. Can you refer me to someone who does this? As a Hypnotherapist that specializes in Past Life Regression, I love your article. It is all that you say and can be much, much more. So many healings take place through past life regression. It amazes me every single time. I have been told that my husband and I have had past lives together. One time was in Egypt, another was in Iceland. In Iceland he was a fisherman and we had 8 children. I teased him that must be one reason I don’t care to eat as much fish as he does. lol. We are hoping in our next life we are able to be in a temperate climate as Wisconsin winters are not kind. I find all this facinating and liberating at the same time. Hope you get many other stories. I experience all of my senses while dreaming… Vividly. I can smell, taste, hear and my vision is extraordinary. I was surprised when you mentioned the first #3 about unlike dreams you will experience all of these things. I need to learn more. I was also fascinated by Edgar Cayce’s work as a teen–and the subject of past lives. As a certified hypnotist I am so glad it is more widely discussed–one of the great benefits of the work of Brian Weiss!